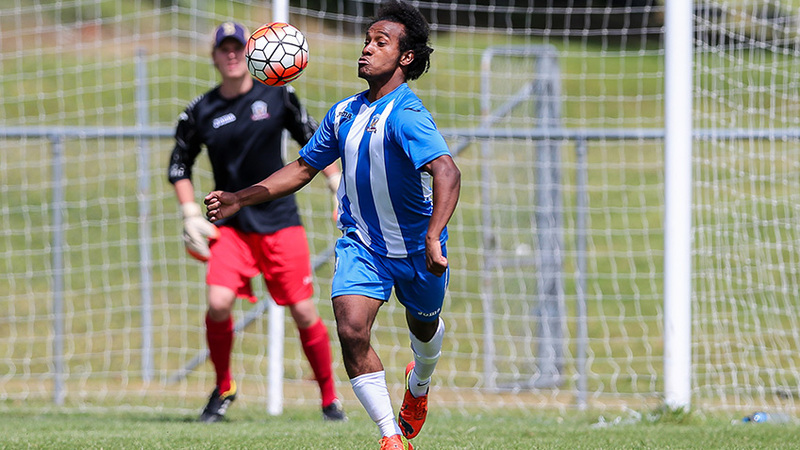 AUCKLAND, New Zealand - Auckland City FC confirms the signing of Omar Guardiola from Southern United. The attacking midfielder is the first of two signings in the January transfer window and joins the Navy Blues alongside Swedish striker Patrick Lundemo. Guardiola can't wait to get started on his new adventure after impressing for Southern United over the past two seasons. "I've been playing in Nelson for the last three winter seasons and Paul O'Reilly saw me and gave me the opportunity to play in the ISPS Handa Premiership with Southern United. "I enjoyed my time with Southern United, things were going pretty good until the injury. It was a big step for me to take going from winter to summer football but I'm happy it went well. "I've played around New Zealand in the winter leagues and had a go at playing in Melbourne but I'm very excited to be at Auckland City FC. "This is a new challenge and I can't wait to show everyone what I can do and repay the faith that's been shown in me. Guardiola is from Colombia originally and arrived in New Zealand 11 years ago. He now has full citizenship along with his father and two sisters. As you would expect, Guadiola's football influences are all Colombian, with his favourite players Faustino Asprilla and Carlos Valderamma. "Asprilla inspired me to play football and watching him gave me the excitement to try different things with the ball. "My father knows Carlos Valderamma well, they were close, they played football together and he was an idol to me growing up," he said. Guardiola says he's received a warm welcome to the club and admits he takes some comfort in an environment where a multitude of languages can be heard, especially his native Spanish. "It makes a big difference because Spanish is not a commonly spoken language at the clubs I've played with in this part of the world so I feel welcome already," he said. Guardiola arrived at Kiwitea Street with a hamstring injury he picked up at training with Southern United, not the ideal start for the 24-year-old wide player. "I got the injury in training and I'm taking recovery slowly because when my chance comes I want to show my full potential. "I'm very excited to be involved at Auckland City FC and hopefully I can make an impression on the coaching staff and make an impact in the games ahead," he said. Previous clubs: Southern United, Nelson Marlborough Falcons, Nelson Suburbs, Wairarapa United, Nelson Suburbs, Tasman United.